Steven (Chicagoland, United States) on 10 September 2012 in Architecture and Portfolio. 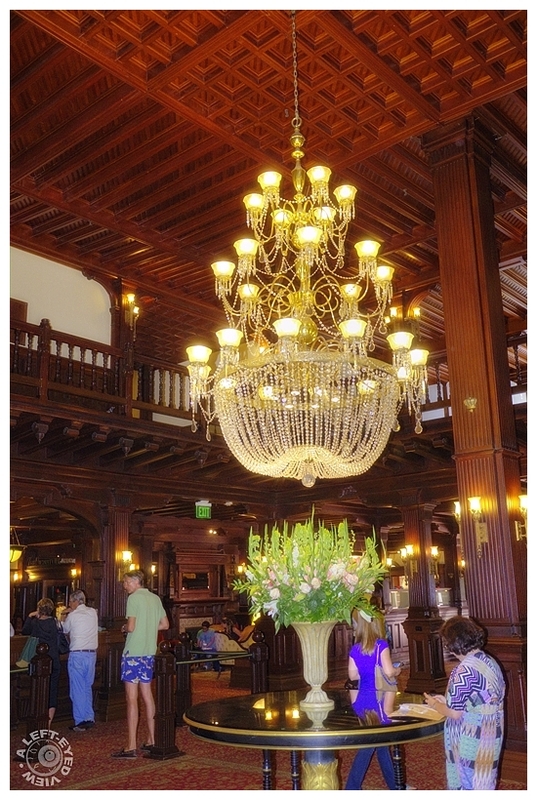 The Hotel del Coronado was the first hotel in the world, and the largest building outside of New York City, to use electric lighting. The lighting system was installed under the direct supervision of Thomas A. Edison. Nicely balanced exposure with your flash, looks a real classy place Steve. Wonderful balance of lights. Great exposure. Lovely chandelier and all the reflections of lights. What a wonderful claim to fame that is . . if there is a power outage, they know who to blame, too ! Superb exposure to capture all the grand detail! great ! love all these details ! Wonderful shot full of beautiful light and details, Steven! I love the rich and warm tones of the ceiling with the criss-cross pattern. Nicely done! impressive and very beautiful interior! What a delightfully grand style is within this hotel ... it is so wonderful to see and your photo is good documentation! It looks very elegant. Nice. Wow, what a building inside and out ! Quite a claim to fame, too, that mister Edison himself oversaw the lighting installation. Excellent shot, Steven. very nice colours and lights ..
A most elegant and advanced, for its time, interior.